Berkeley Playhouse enchants with Peter Pan prequel. Read my review in the East Bay Times and Mercury News. 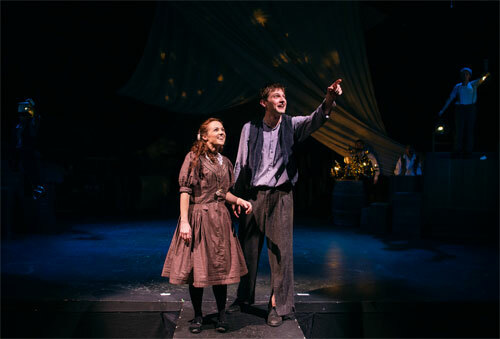 Kevin Singer and Brittney Monroe in Berkeley Playhouse’s Peter and the Starcatcher. Photo by Ben Krantz Studio. Show #111 of 2016, attended September 24.